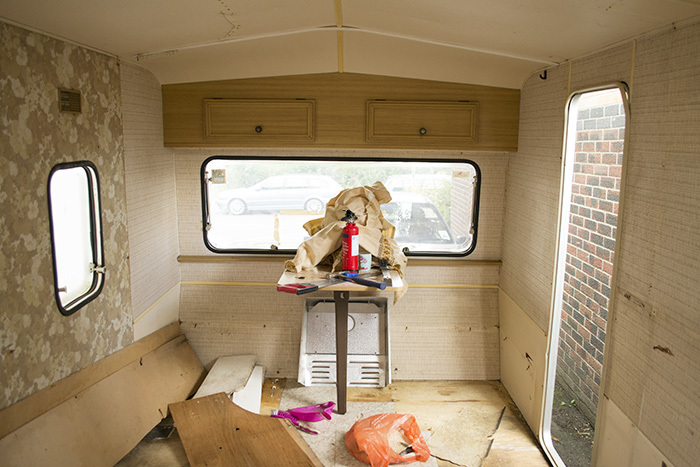 For anyone who missed part one: we have bought a vintage caravan that we are renovating to turn into an office / playroom / craft room. I bought it with the aim of stripping everything out so that it was just an open space so Mr C took to it with a hammer and bashed out all the built in units. Initially he took to it with a screwdriver but it turned out that everything was glued and not screwed in place so he had lots of fun smashing it up. I then went in and started clearing up all the rubbish and pulling up all the old lino. It was then that we could really look at the state of it and unfortunately it revealed rot. Lots of rotten wood which had developed after a leak hadn’t been fixed properly. 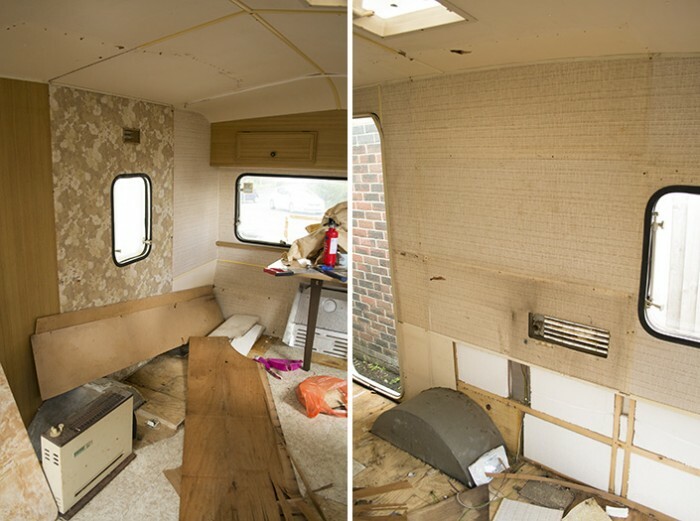 This seems to be a big problem vintage caravan problem. 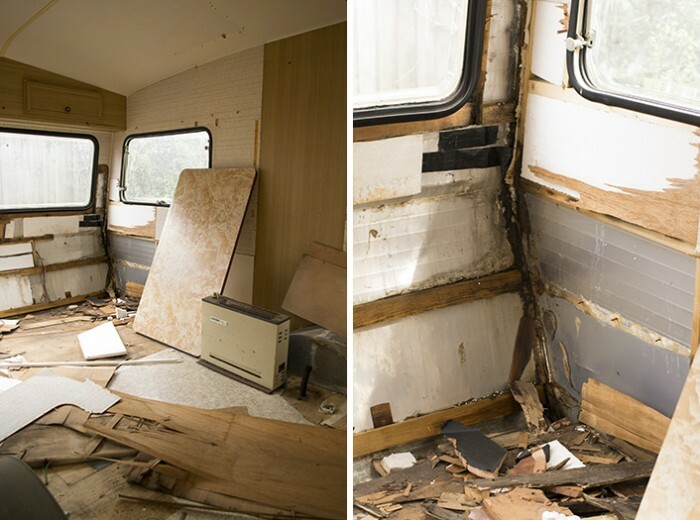 You can see the affected corner in the photo below and as you can see it is in a bit of a state but Mr C has already found the wood he needs to fix it all, now it’s just a question of him having a spare few days to do it. He has explained his plan of how he is going to fix it but I think until I see it I won’t fully understand. 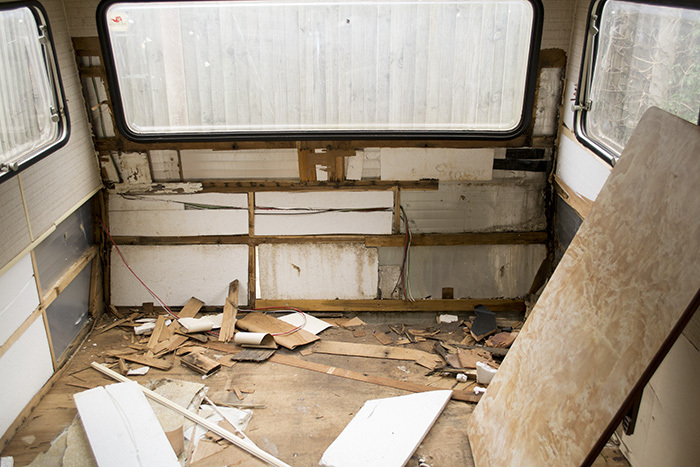 It will basically involve cutting out all the rotten wood and replacing it with new wood, securing it all, boarding it all back up and sealing it all with proper sealer (inside and out) so that I have a new ‘wall’ to paint. Luckily he is really good at all this kind of thing otherwise there is no way I could have carried on with this project, I’m just waiting to be able to paint and decorate it! I am still planning to paint it all white and there is going to be a long desk running beneath the window in the photo below. As you can see it is a total state at the moment but I am still excited about the end result. I can’t wait to get stuck in with the next stage now so hopefully it won’t be long until I can get my paintbrushes out! Edited: Sadly Mr C later decided it would be too much work and not worth the effort so we had to sell it on Ebay. The good news is it sold for what we paid for it (£130) so we didn’t lose money. People use them to turn into trailers so it didn’t matter that we had stripped it. 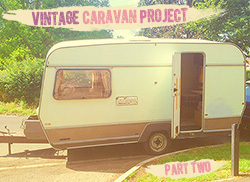 Now I just need to find a new vintage caravan project!